A view of the Greek Parliament, Athens. 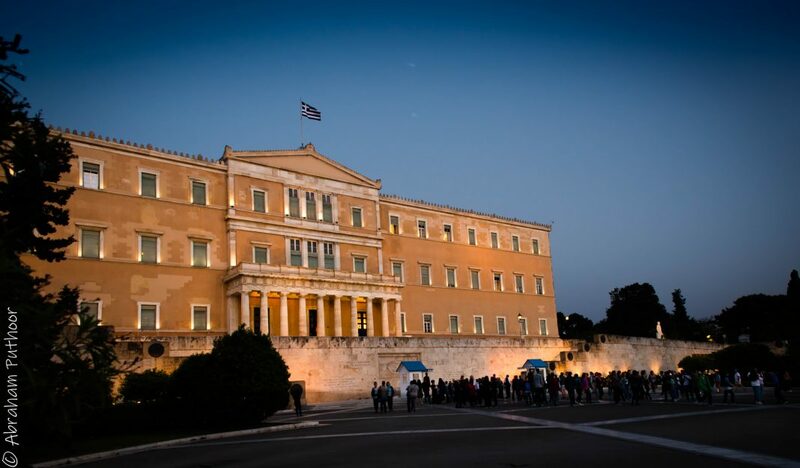 The S&D Group welcomed the outcome of the vote in which Greek parliamentarians have supported the historic Prespa Agreement reached in June by Prime Ministers Zoran Zaev and Alexis Tsipras on the name of North Macedonia. Macedonian parliamentarians approved the constitutional amendments to change their country’s name already two weeks ago. For the deal to go through, the change must have also been approved by Greek members of parliament. “Now we will finally be able to say: Welcome to the Republic of North Macedonia,” said S&D Group president Udo Bullmann. “Today’s success is a proof that progressive political forces are able to solve long-standing disagreements and make difficult compromises which nationalists or conservatives had not been able to do in almost three decades. I hereby congratulate Prime Ministers Zaev and Tsipras for this historic agreement that will now enter into force. I am aware of the enormous tensions ahead of today’s vote in Greece. Yes, it was a difficult compromise. I praise all Greek parliamentarians who voted for the change of the name of their neighbouring country to North Macedonia. They proved that the future of their country and good neighbourly relations are more important than short-term gains in polls,” he added. “I call on the member states to prove that those who make difficult compromises are rewarded, and invite Skopje to start the accession negotiations with the European Union in June 2019,” Bullmann concluded. “I commend the Greek parliamentarians who approved the Prespa Agreement for their maturity and the sense of responsibility. I particularly appreciate Alexis Tsipra’s leadership in discussions over the Prespa Agreement – that he has not let himself be lulled by those in Greece who are yearning after old nationalist symbols instead of looking into a peaceful European future. By approving the agreement, both Macedonian and Greek parliamentarians supported the Euro-Atlantic aspirations of Macedonians that were blocked for far too long. What is even more important is that they decided they want the relations between two neighbouring countries to normalise. I am sure this will open great opportunities not only for their respective economies but will intensify contacts between the people of both countries,” added S&D spokesperson on foreign affairs and European Parliament mediator for the Sobranie, the parliament in Skopje, Knut Fleckenstein.